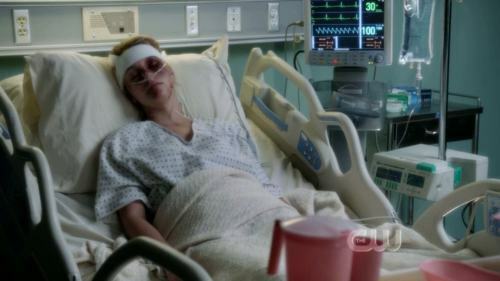 This episode of Ringer was unfortunately more of a 'filler' episode, filling in the gaps of what happened to Siobhan's son Sean and only slightly progressing Juliet's storyline. Brigette enropes Malcolm's help and returns to Siobhan's secret office to find everything gone- they speculate that someone must've been there, stole the mysterious key and now removed everything. Juliet's mother pleads with Andrew to let Juliet move to Miami to be with her for a while. 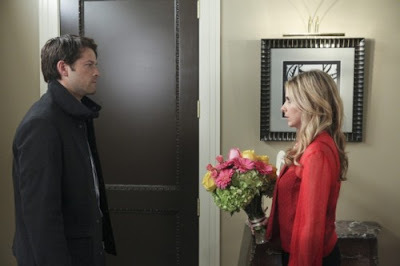 She gets a phone call about sending flowers to 'Main street', an address she found in Siobhan's office last week and decides to go for a visit, only to discover it is the house of Sean's grandmother, and she quickly leaves. The memories of Sean come to haunt her throughout the episode and she decides she agrees that Juliet should get a change of surroundings. At school, Tessa comes in with a 50k SUV and draws a lot of attention to herself. Juliet gets upset and tells Mr Carpenter about it. He tells her he will 'take care of it'. The next day at school, Juliet finds out that Tessa has been robbed and left in a coma. Juliet feels really guilty and suspects Mr Carpenter. Dylan (Misha Collins), Sean's father, pays Siobhan a visit telling her to stay out of his life and his mother's. Brigette yells at him asking him to leave, still not forgiving him for Sean's death. Brigette pays him a visit to see that he is happily married with a daughter and is about to throw a brick through the window when Malcolm stops her. She goes over and tells him that she forgives him the next day. On the phone to Malcolm, she tells him that she wants to be Brigette again and not have to do all the things she's doing as Siobhan, that hopefully she will not lose the people she love. Henry wants to cash out of Martin Charles, knowing the company is soon to collapse, whilst under Siobhan's instruction to watch over Malcolm. Malcolm sees the key that was stolen from Brigette to be in Henry's possession. Mr Carpenter pulls Juliet to one side and gets aggressive. She calls someone telling them that 'their plan has failed' and she needs them to help her. The final scene sees her telling someone about Tessa and how the plan is falling apart... to which Juliet's mother sits down and tells her everything will be ok.